To demonstrate competence and support licence applications. 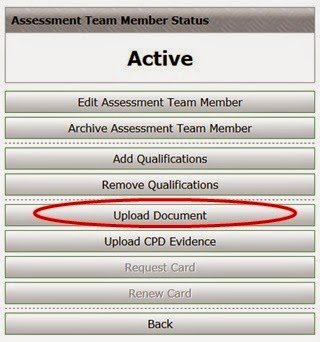 Click on the Assessment Team tab to open up a list of your assessment team and select the person you wish to upload documents too. * For any further guidance on GQA On-line or uploading of documents please contact the GQA Office. We will be happy to assist you.